This essay is part of a series which explores historical encounters which are often presented as “conflicts” between science and Christianity. Not only by the plain and manifold testimonies of Holy Scripture, but also by light of reason well directed. As with the essay on Galileo, I will argue that this interpretation of the events is based largely on a failure to adequately appreciate the scientific and social context of the work. Inappropriately applying a modern interpretation to historical events distorts our perceptions and generally does more to highlight current biases than historical truths. To be clear, however, I do not intend to defend the substance of Ussher’s conclusion. I have great faith in cosmological and geochemical research and am happy to accept the postulated ages of approximately 14Gyr and 4.5Gyr for the Universe and the Earth respectively. But I think that it is greatly erroneous to blame work from a particular time and place for its accuracy regarding later and fundamentally different disciplines: we must evaluate the work in its proper context. Brady: A fine Biblical scholar, Bishop Ussher, has determined for us the exact date and hour of the Creation. It occurred in the year 4004 B.C. Drummond: Well, uh, that’s Bishop Ussher’s opinion. Brady: It is not an opinion. It is a literal fact, which the good Bishop arrived at through careful computation of the ages of the prophets as set down in the Old Testament. We’ll deal with William Jennings Bryan in another essay – his participation in the Scopes trial has in itself an important place in the “conflict” mythos – but for now let us note that this exchange represents a common impression of Ussher’s work. In fact, it was nowhere near that simple, as anyone with even a passing familiarity with the Bible will realise. The question of the age of the Earth represented a major field of theological study, and within that context the quality of Ussher’s work was outstanding. 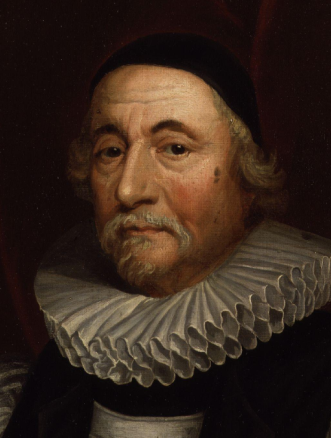 James Ussher was born in 1581 and entered Trinity College Dublin when he was only 13 years old (in its founding class of 1594). In 1601 he was ordained as a priest and by 1607 had risen to professor at Trinity. In 1625, aged 43, he was appointed Archbishop of Armagh and head of the Anglo-Irish church – a difficult position to hold in a turbulent religious and political landscape. He was in England when civil war broke out in 1642 and remained there the rest of his life, devoting most of his last years to study and writing. By temperament he was far more inclined towards scholarship than ecclesiastical administration. Although an effective bishop in a troubled time, he devoted much of his energies to works such as his 1639 treatise Britannicarum ecclesiarum antiquitates, a comprehensive study of the history of Christian churches in Britain. In 1650 he published his most famous work, the Annales veteris testamenti, a prima mundi origine deducti, or “Annals of the Old Testament, deduced from the first origins of the world”. It is on this work that we will focus our attention. To understand his work, we must first rid ourselves of this notion that Ussher was working to “quench scientific knowledge and inquiry” with static dogma. To do so gravely misinterprets chronological thinking at the time. Attempts to establish a timeline of human history were a major scholarly pursuit in Ussher’s time, and his methods and conclusions were well supported by other researchers. The Venerable Bede, writing in about AD 723, had reckoned the dawn of humanity at 3952 BC, and more contemporary scholars such as Scaliger (3949 BC),the astronomer Johannes Kepler (3992 BC) and the great Isaac Newton (c. 4000 BC) had all come to similar calculations. The genealogies (from Adam to Solomon). For this period, there is an unbroken succession of the male lineage with ages of each heir at the birth of their son. Even so, the Hebrew and Septuagint Bibles differ by nearly 1500 years in their totals. Ussher went with the Hebrew bible and added up the numbers. The period of kings (from Solomon to the Babylonian captivity, or around 930 BC – 586 BC). Here things get much more complicated: the succession of kings is not continuous, as regents sometimes rule for periods between successive kings, and there are even overlaps between reigns. Considerable cross-referencing is needed to correlate the Judean kings with other contemporaneous histories. Between the Testaments (from Ezra and Nehemiah to the birth of Jesus). The Biblical record of the Old Testament ends with the accounts of Ezra and Nehemiah returning to Jerusalem and rebuilding the Second Temple, which probably happened in about 515 BC. For this 5-century intermission, Ussher relied entirely on alternative timelines such as the Chaldean and Persian histories. By correlating significant events (such as the reign of Nebuchadnezzar), these histories could be used as a “bridge” to connect the Jewish and the Roman timelines, and thus ultimately arrive at the birth of Jesus in about 4 BC. 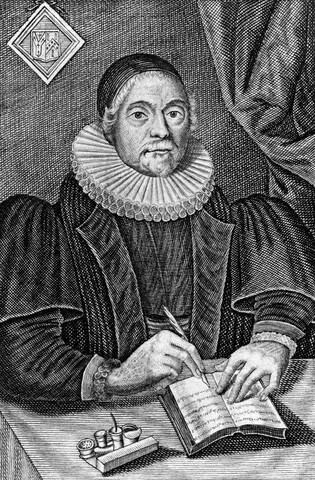 In all, it is reckoned that Ussher relied on the Biblical narrative for only one sixth of his chronology. The rest of his references came from his in-depth study of Chaldean, Persian, Greek and Roman history – which, we note, represented virtually all of ancient history know in Europe at the time. His dating of other historical events (such as the deaths of Alexander and Julius Caesar in 323 BC and 44 BC respectively) is in accordance with current estimates. Ussher’s aim was to use ancient histories to construct a continuous timeline for all human civilisation, not just the history of the Jewish nation. He did this based on historic documents (from all cultures that he could find) which offered the best available accounts of historic events, and painstakingly correlated different cultural records to build a cohesive whole. From the appearance of humans on the scene, his account is not based on “religious authority” – how can it be, since most of his timeline is not even based on the Bible? Yes, he does regard the histories recorded in the Biblical texts as being accurate, but I don’t think we can really criticise that as a working assumption – particularly as they have been overwhelmingly endorsed by archaeological evidence in the 350 years since Ussher. For the period preceding humans there are (of course) no historical eye-witness accounts, so he assumes for completeness that a literal interpretation of Genesis 1 is a reasonable guide. Why not? He was not a geologist, and was not particularly concerned with the creation of the Earth – nor with “rigidly asserting a blind dogma in the face of evidence”. His interest was in human history, and in that context his work was exceptional. Note: This essay was motivated by Stephen Jay Gould’s Fall in the House of Ussher, which I recommend as further reading. The Gould quotations in this piece are all taken from that essay. This article is an updated and expanded version of an older post. The original article (with comments) can be found here.